Dare to be different with the RFC and REP designations from IARFC USA! How are we different? We focus on practice management! 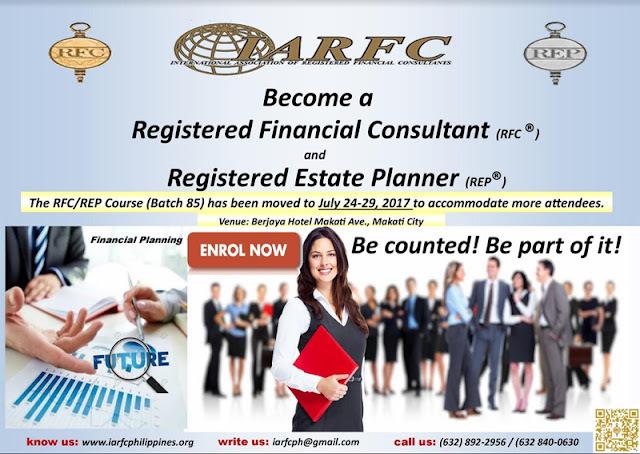 Stand out from the 60,000 Filipino Financial Advisors with a RFC and a REP designation! 6- days fast track Course is happening on April 18-23, 2016 in Makati City. One (1) Course – Two (2) Professional Designations! Qualify for the Early Bird Discount! Qualify for the Group Discount Today! Leaders, Build a professional Team of RFC’s & REP’s! Endorse and refer your Financial Advisors to the RFC/REP Course. Any questions, feel free to reach out! 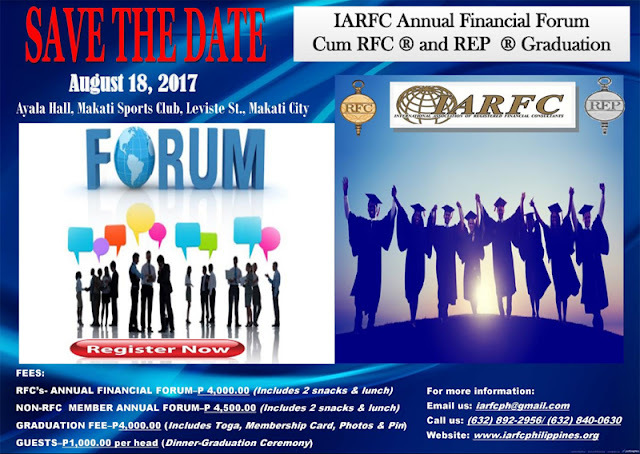 Call Arlene Baguyo at (02) 892-2956 / (02) 840-0630 / 0917-6457846 / 0908-8694135 or email us at iarfcph@gmail.com.